Located out of Charlotte, North Carolina, Sparkhead Studios is a comprehensive branding agency for businesses in need of graphic design, website design, photography, and copywriting for digital and print communications. We have worked with hundreds of businesses – from startups to billion-dollar companies – to turn on a brighter, tighter brand! Visit our Work page to view our portfolio of some of our client projects. Sort by services, then click on the thumbnails to read case studies. To view all of our services, click here. At Sparkhead Studios, we see ourselves as an extension of your company and team. We believe that it is only through a true collaboration that we achieve success with your brand. When it comes to branding for companies, Sparkhead Studios understands that different clients have unique needs, resources, and levels of expertise. We take the time to know our customer’s objectives before we begin with the strategy session and creative process. We look forward to exploring opportunities with you and encourage you to contact us today for a free estimate or to learn more about how we can help you with your photography, design or brand development needs. We have an office in Ballantyne and South Park and can meet at either location by appointment. 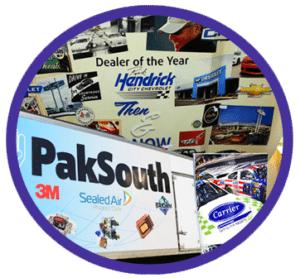 Give us a call at 704-241-5776 to learn more about how we can work together on your next branding project! Sparkhead Studios. Sparking Bright Ideas for Your Brand.